Sparkling and Dazzling. That is how your guests will fall in love with our Silver Dome Napkin Ring. Dress up your napkins with the perfect amount of pizzazz, but try to not get jealous. 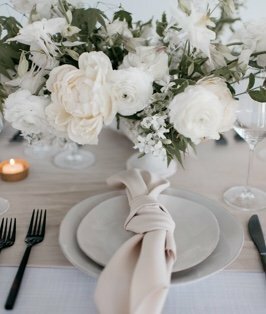 Perfect with any of our napkin selections from our fashionable colors of Classic, to our supple Shantung offerings, you will complete your tabletop design with this amazing statement piece.